President Jeff Kennett has penned a letter to members. Message to Hawthorn Members 11th Feb 2019. I trust you all had a good break, and like me, are looking forward to season 2019. Everything is back in motion at the club, both administratively and in the football department. Be assured that all our people are focussed on their individual and collective responsibilities. A few things to report. As you know one of our Board members Linda Kristjanson resigned at the end of last year due of her increasing responsibilities at Swinburne University, where she has the extraordinary task as Vice Chancellor. We therefore have started the process to find her replacement. Linda’s responsibility on the Board was of our People and Culture and portfolio. This is an important portfolio, because as you know, alongside the good governance of the club, the welfare of our people is an integral priority for Hawthorn. To fill Linda’s shoes, the Board will be looking to appoint a person with strong family values, people management skills, and if possible, a Hawthorn connection. If any readers of this letter wish to apply, please send me your CV. Applications will close on Friday 22nd February. As you would expect we will then move quickly to fill this position. Secondly, as you will have all heard Tom Mitchell broke his leg in two in a freak accident at our first training session in 2019. This was obviously very disappointing for both Tom and the Club, however Tom has responded with great positivity and resilience. Fortunately, both breaks to his leg were clean breaks and our medical team are confident that with team and rehabilitation, they will mend. Tom will require the 2019 season to fully recover, and at only 25 years of age, we can expect another five to seven years of Brownlow Medal winning form if we allow his leg to recover properly. I would also like to remind all our members of our Kokoda experience, the most recent being a club trip last November. In 1942, many young men fought against a much superior, Japanese force along the Kokoda Track. Sadly far too many lives were lost. We are fortunate that a small group of men were able to not only survive, but to stand up and drive the Japanese back along the track. These young men showed extreme resilience, sacrifice, mateship and courage. Traits which all of our players leave the Kokoda track with a far greater understanding and appreciation for. Whilst football and war are far from comparable, we still hope our players can learn from the Kokoda story and embed some of the core values of our soldiers in their day-to-day actions. With Tom’s recent injury, this is certainly a time when the values learnt through our Kokoda experiences will come to good use. I am excited and confident about our prospects this year, as is the coach and the whole football department. 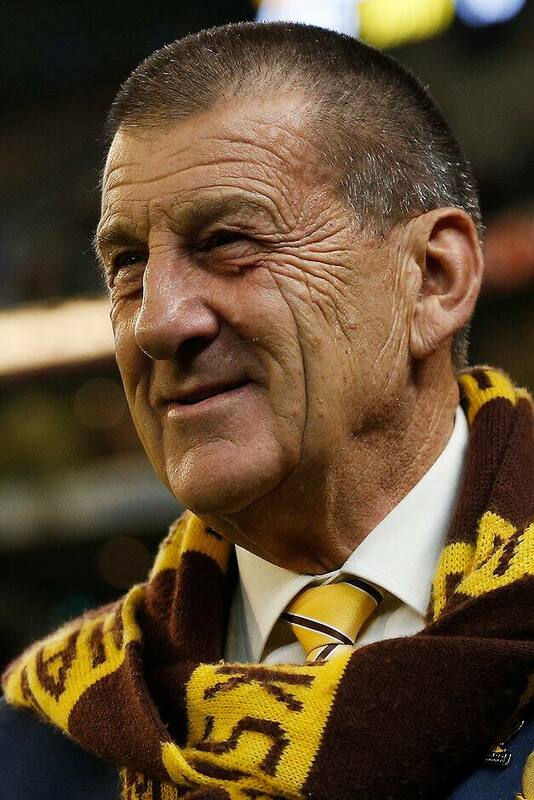 So, like our soldiers in Kokoda, we at Hawthorn will not back down from the battles ahead of us this year. And if you need further re-enforcement, remember one of my favourite quoted sayings; “Individuals on their own achieve nothing, teams of people deliver.” We at Hawthorn are one on the most complete and professional teams in any sporting competition. Finally, to all our members who have been ravaged by the floods up north in Queensland, the droughts down the east coast, or the fires in Tasmania our thoughts are with you. We are part of a very large country, which at times is particularly harsh. This week the team and coaches have been in Tassie and Katherine for our community camps. Spread throughout the island. Some with fire affected communities. If any member is doing it tough, as a result of these natural disasters, and there is some way we can assist, please do not hesitate to ask. If the club can’t help, maybe one of your fellow members can. For now, gird your loins, the season is getting closer.